BAA is offering college scholarships to Bloomington seniors. The students must have a GPA of at least 2.5, reside in Bloomington and fulfill the criteria of the BAA scholarship application. 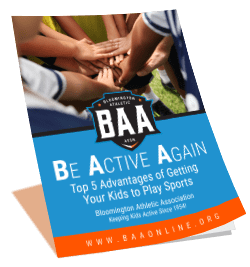 BAA participation at the high school level and BAA volunteering at the high school level are some of the requirements.